Delicious four-course meal Saturday night - relive the fun and excitement of day one with fellow participants over an incredible meal prepared by professional plant based chef, Christine Green. NEW for 2019! Bellingham, WA is a mecca for mountain biking in the Pacific Northwest with a wide variety of incredible trails. 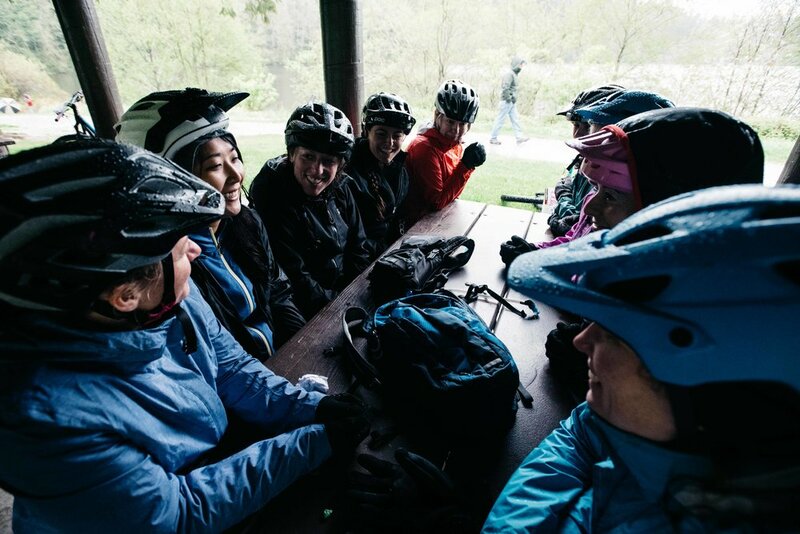 For the second year in a row the fine folks at the Transition Bike Company host one of the state’s best mountain bike clinics for women. 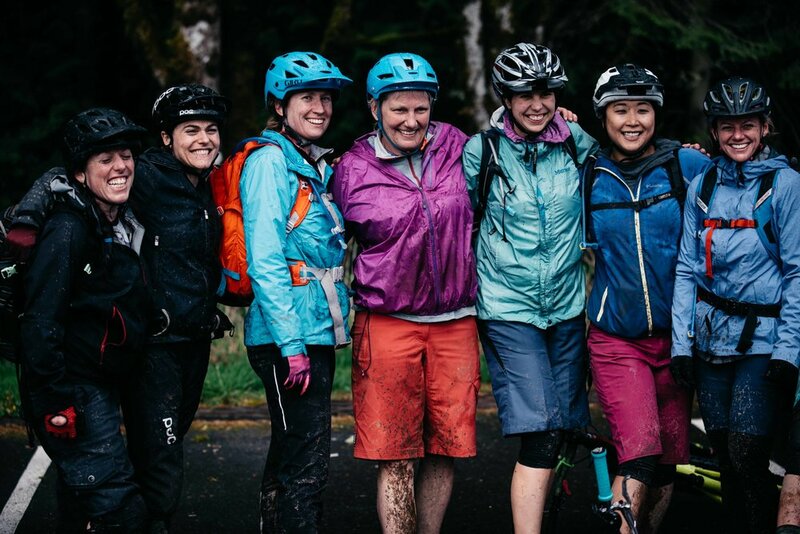 Professional coaches Angi Weston with Radical Roots MTB Instruction, Lisa Mason with Women’s Freeride Movement, and Christina Chappetta, professional enduro racer lead the mega-progression-sessions on the insanely fun trails on Galbraith Mountain. This is a small group clinic with loads of opportunity to learn, meet new friends, and ride world class trails. The weekend will kick-off with a casual meet-and-greet at Transition HQ on Friday night so students and coaches can get a chance to mingle and anyone who pre-registers for a demo bike can get one set-up at this time. On Saturday and Sunday we will split into groups for a student to coach ration of 6:1 and we’ll spend 6-7 hours on the bike each day. The coaches’ progressive approach to teaching starts students in a low-consequence setting giving them time to focus on proper body position, timing, and execution of fundamental and dynamic skills. Then they methodically add the next level of complexity for each skill so that their students are powered by the confidence of these successful successions. New for 2019 we are adding a unique four-course dining experience for the participants on Saturday night. In this private party, participants can relive the excitement and fun from day one over a delicious plant-based meal prepared and served by professional chef (and fellow mountain biker), Christine Green. 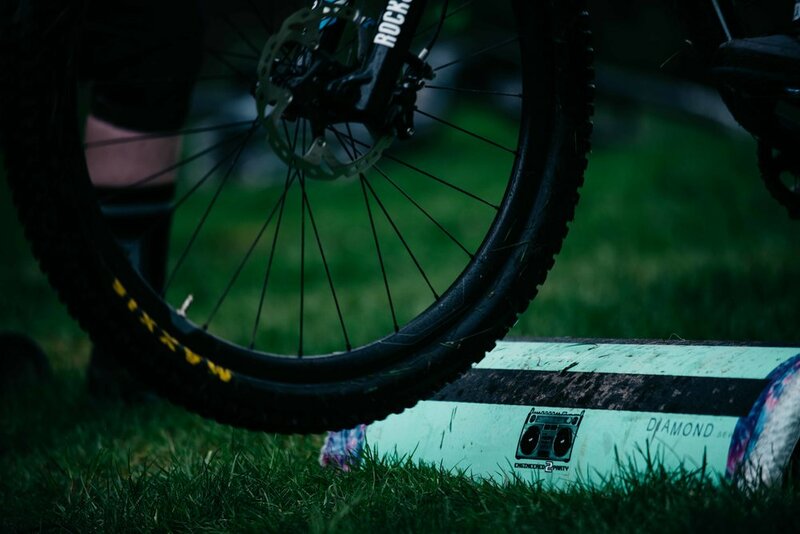 Regardless if your goals for the weekend are to learn the basics of mountain biking or learn how to catch more air and ride faster - our coaches tailor the lessons to your goals. Each student will also receive a ton of “homework” and a skills re-cap and study guide sheet to help them continue to progress well beyond the weekend. 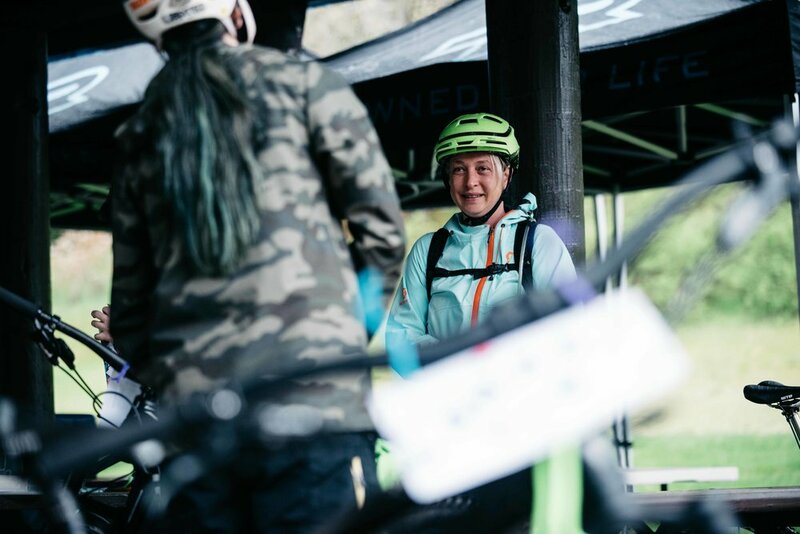 Angi Weston resides in Bellingham, WA and is the owner and head coach for Radical Roots MTB Instruction and lead coach for the Transition Women’s Weekend. 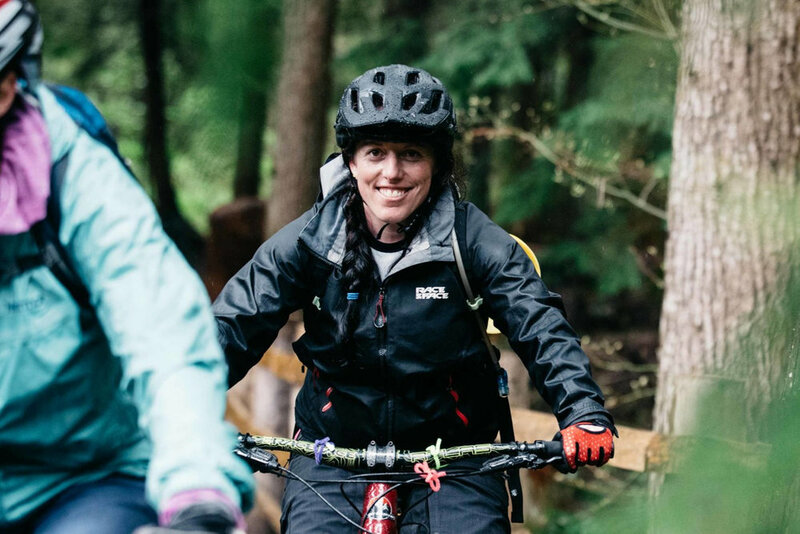 She has been coaching mountain bike skills since 2002 and is Level 3 certified (BICP) making her one of the most qualified and experienced mountain bike coaches in North America. 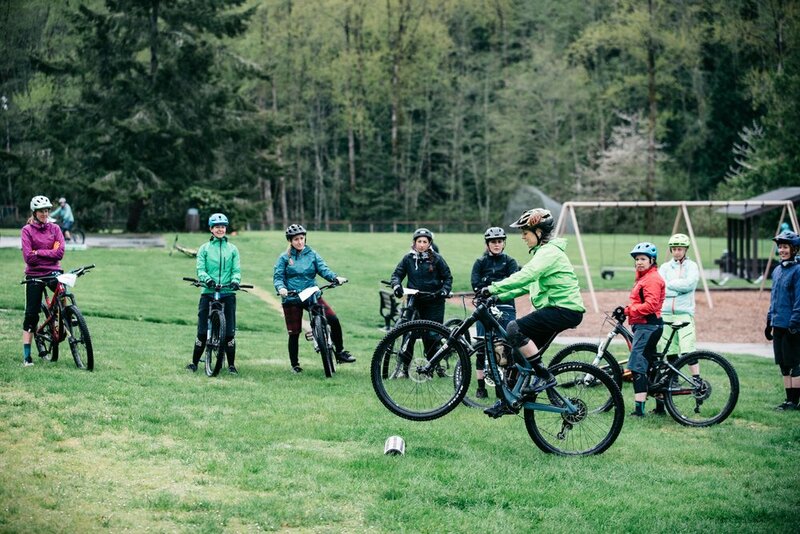 Her reputation for being a fun and effective coach means she is invited to coach at many renown women's skills clinics around the country and reaches 1,000+ mountain bike students each year. Teaching is a great passion of hers and it shows in her enthusiastic and patient approach. Angi is sponsored by the Transition Bicycle Co, SRAM MTB, RockShox, Industry 9, Maxxis Tire, Honey Stinger, and Troy Lee Designs. Lisa Mason is the founder of the Women’s Freeride Movement which is a group that aims to support and celebrate female riding. Running her own painting and coaching businesses out of Whistler, BC she is Level 2 certified (PMBI) with 10 years of coaching experience. 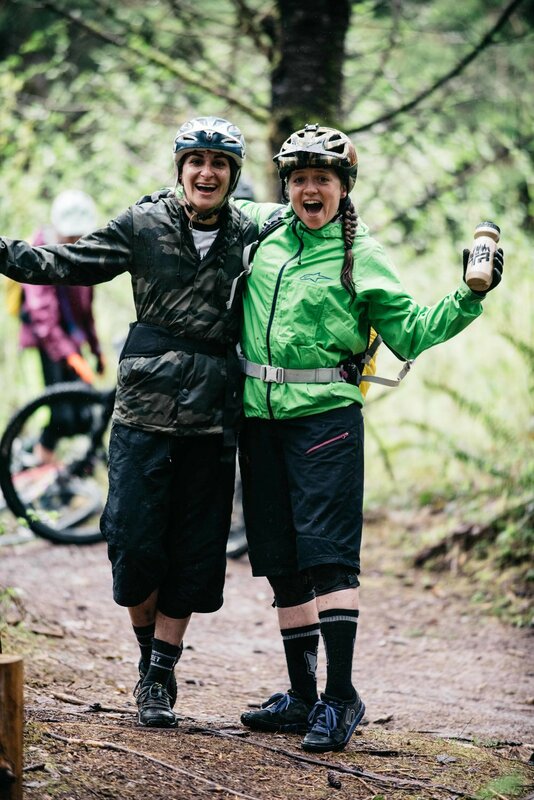 Lisa’s latest bit of pride came from watching the inagural Women’s Riverside Jump Jam at Crankworx Whister this summer - an event that she helped organize - to bring more attention to the women pushing the dirt jumping and slopestyle aspects of mountain biking. Lisa’s energy and smile are infectious and you can’t help but enjoy time shared with her on a bike or anywhere for that matter. Her coaching style is fun and effective and may even have you falling in love with freeriding. Christina Chappetta has been mountain biking since 2011, when she lived in Colorado. 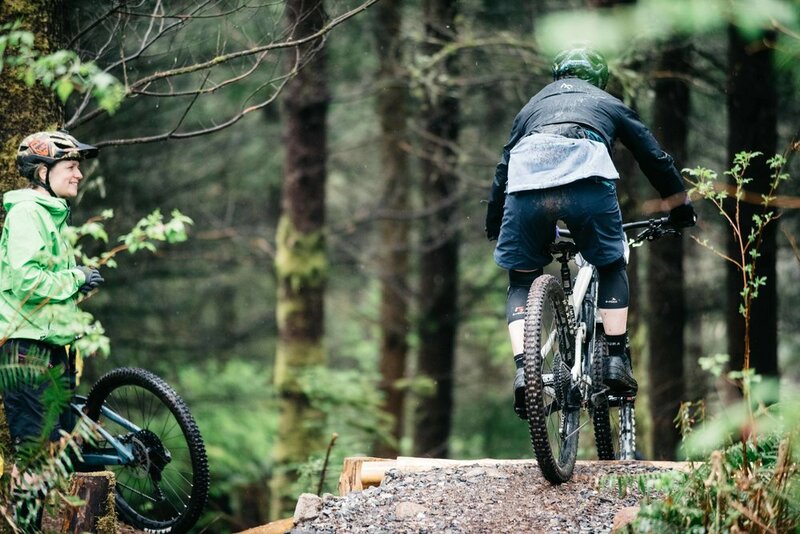 Shortly after, she moved to Whistler, BC to ride the best mountain bike park in the world and quickly fell in love with the trails and communities in and around Whistler and the PNW. She has competed in the Enduro World Series for the past three years in Whistler and internationally. For the coming season Christina will race even more EWS races mixed in with local and national events and a 6-day enduro race in the fall - that’s what we call FULL COMMIT! Christina first began coaching mountain biking when she became more interested in the mechanics and techniques to become better herself, around 2014, and obtained the level 1 certification from the Professional Mountain Bike Instructor Association. In the winter season, she coaches indoor cycling with TaG Cycling which allows her to practice form and build up strength for the season ahead. She is first aid and CPR trained and has spent time on the Search and Rescue team in Summit County. With the help of some amazing and supportive sponsors, including Transition Bikes, We Are One Composites, Maxxis Tires, Ride 100%, Dakine, OneUp Components, Evolution Bike Shop, Tag Cycling, NorthShore Billet, and Lift Coffee Co., Christina is able to share her passion and knowledge of mountain biking with many people through skills clinics, social rides, competitive races and chairlift rides at the bike park. Shae James (AKA: ShaeCafe / Sideshow Shae) is Lead Assistant Coach and Radical Roots MTB’s Chief Ideation Liason (ChIL). Drawing from experience in multiple extreme sports, she is working towards becoming a Rad-ical coach through an apprenticeship under Head Coach Angi Weston. Shae is First Aid and CPR certified and has mad chainsawing skills. As a regular trail builder, she adds great insight to reading trail and choosing lines. She is also known to jump in with sporadic trail maintenance (fix that hole, dengit!) to make the ride better for everyone. Shae's M.O. in life is "Full Commit" and it shows in her sendy-style. When riding with Shae you will experience gut-splitting laughs, a low-key confidence boost, and you’ll always have someone to give you a tow-in. Christine Green’s love for delicious, healthy, plant based food started in the early 2000’s while living in Southern California where she was introduced to organic plant based and raw food by a friend. Suffering from severe allergies her whole life, she noticed that since changing to a plant based diet she no longer experienced these symptoms. Not long after that she then started working for a local raw food chef in Los Angeles as well as becoming a brand ambassador for several national supplement companies. Health and wellness became her life. “I grew up with parents who were fantastic cooks and liked to entertain, so I think it was only natural that a job in the culinary arts would happen down the road. My passion has always been to make food where you aren’t sacrificing taste for nutrition or nutrition for taste. 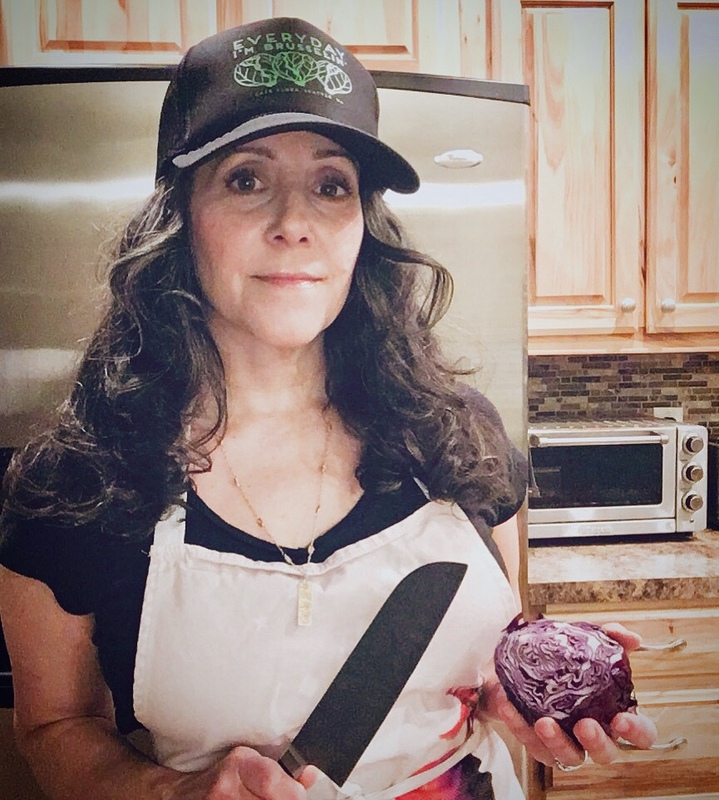 I truly love to cook for others knowing I am feeding them something that is good for their body and tastes yummy.” Christine is a private plant based chef in beautiful Bellingham WA and is currently working on a new product line, Happy Hippie Granola Bites and Taco Crumbles, that she intends to launch this summer.